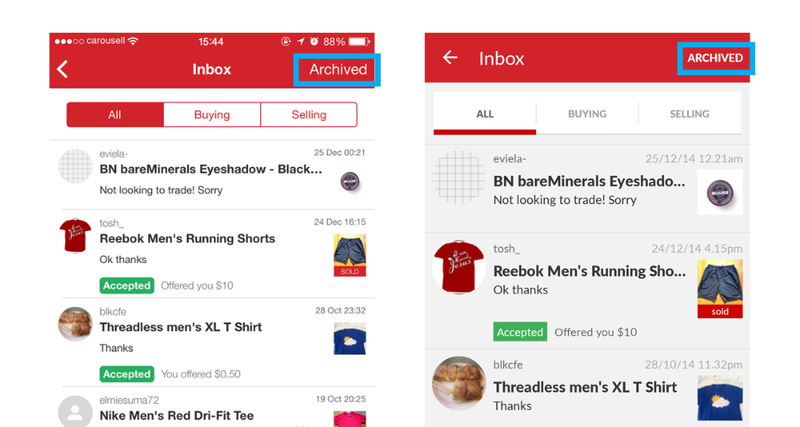 To archive chats or conversations in your Carousell inbox, just swipe the chat that you want to archive to the left. Once the chat has been archived, a small pop-up will appear at the bottom of the screen to indicate that the action has been completed. You can undo the "archive" action by tapping "undo" on the pop-up message. 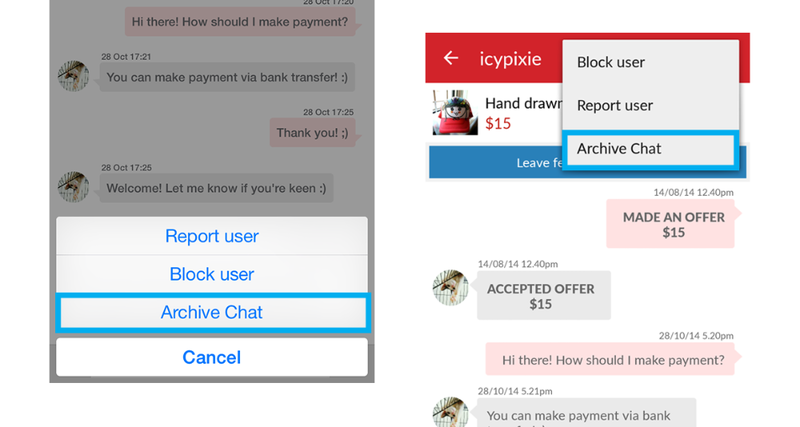 Chats can also be archived within the chat screen by tapping the "More" symbol in the top right hand corner, then "Archive Chat", on both iOS and Android. 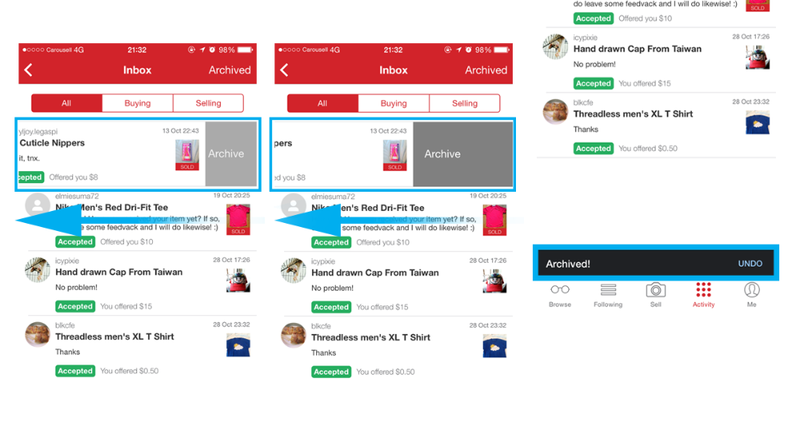 You can access your archived chats by tapping the "Archived" button in the top right hand corner of the screen in your inbox. Chats that have been archived will then be displayed. Chats that have been archived can be moved back to your inbox anytime. To find out how to do this, click here.